Incrediball hydrangeas are beloved for their stout stems and massive blooms. 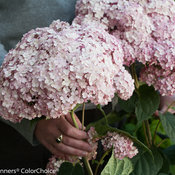 Incrediball® Blush hydrangea adds a new color to the series - a beautiful silvery-pink. 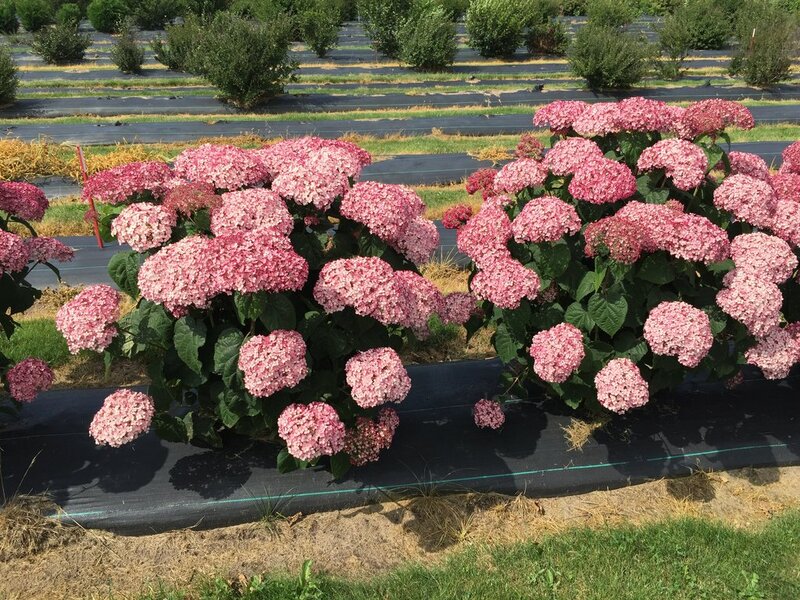 This hydrangea combines the rock-solid reliability of the classic 'Annabelle' hydrangea with the improved stem strength, bodacious blooms, and enormous flowers of the Incrediball series. 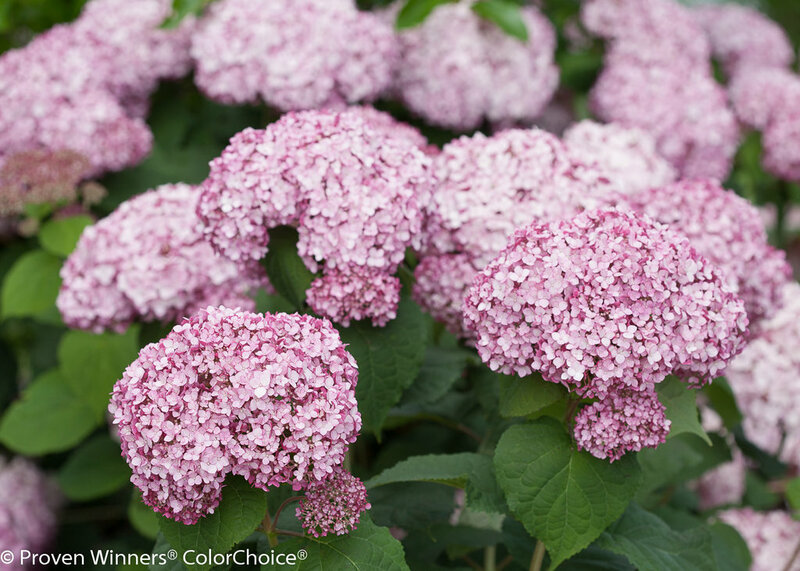 Enjoy these fabulous blooms every year, even in chilly USDA zone 3! 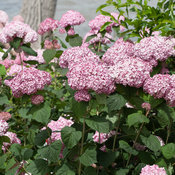 This species of hydrangea is native to North America. 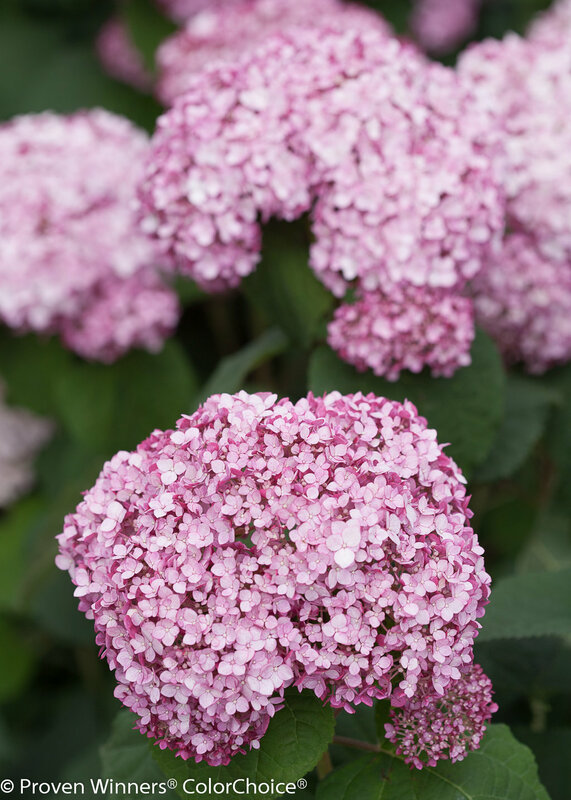 Smooth hydrangeas, also known as 'Annabelle' hydrangeas, are some of the easiest and most reliable types you can grow, especially if you live in a cold climate. 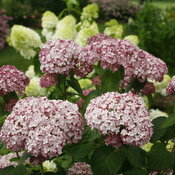 Caring for them is simple: in early spring, just as the new growth begins to emerge on the stems, cut the plant back by about one-third its height. That's it! 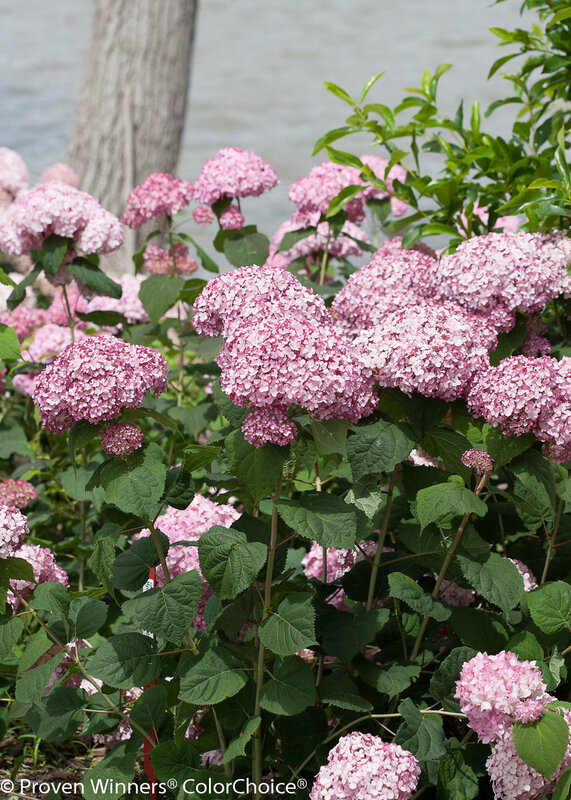 If you wish, you can apply a granular fertilizer formulated for flowering shrubs, like a rose fertilizer. 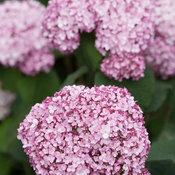 The largest blooms develop after the plant has become established - typically about 3 years after planting. 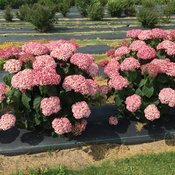 The plant will bloom before this, but they won't start reaching their maximum size until they have developed a good root system. Smooth hydrangeas like Incrediball Blush can grow in full sun in cooler climates - a minimum of 6 hours a day ensures the strongest stems, the biggest blooms, and the best flower color. 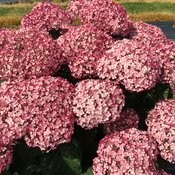 However, the warmer your climate, the more shade they can take; afternoon shade is particularly beneficial in these areas. 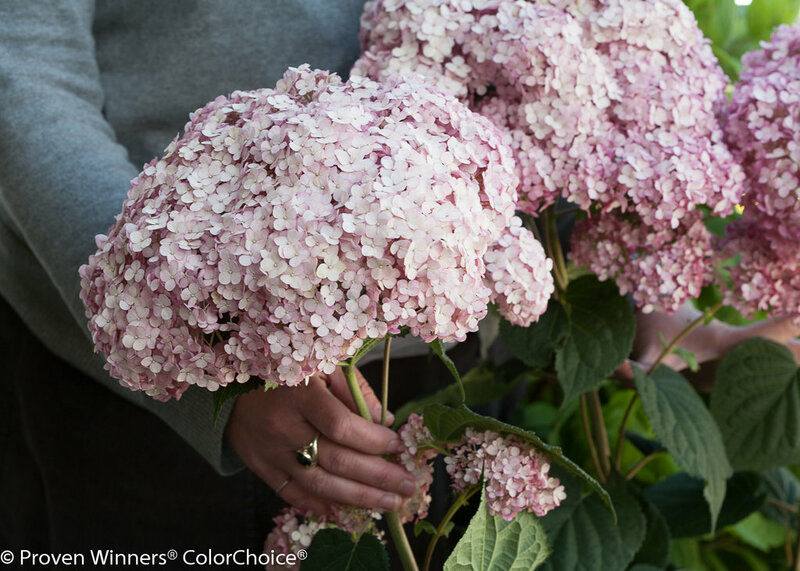 Don't hesitate to harvest flowers to enjoy in a vase or dry for craft projects - this reblooming hydrangea will simply create more! 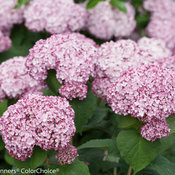 I felt very upset when I received my plants that I bought through Home Depot. They came with all the yellow bottom sheets and other meals by incepts or items, a big difference with what I could see on their wed site. 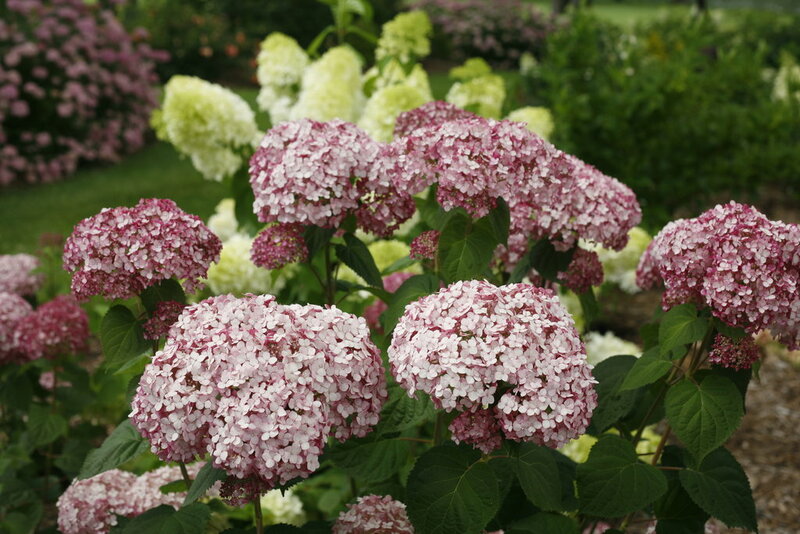 I used to have the Hydrangea species native to Asia but they did poorly so I replaced them with this native. It blooms on new wood, so winter won't rob me of flowers. Also, I did not realize it reblooms! 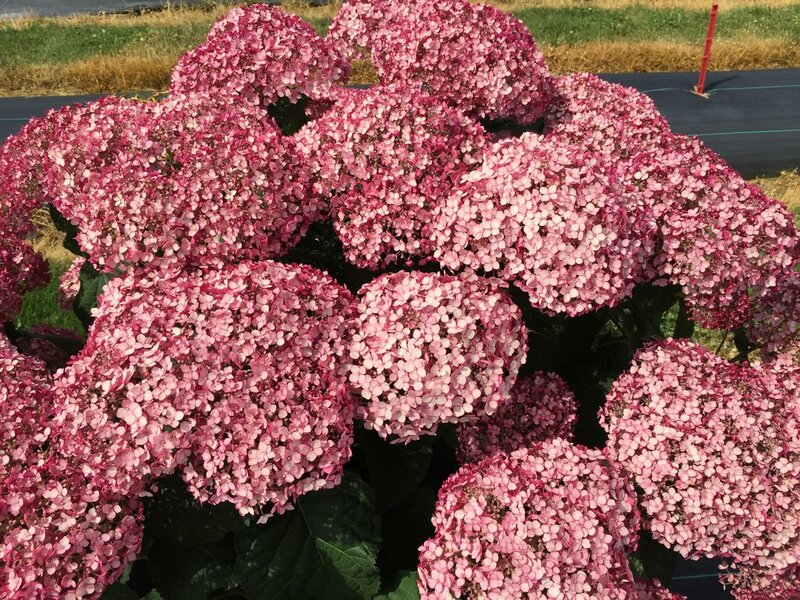 It is currently in bloom here in NC in September. Was delivered healthy and packaged very well. The gallon size is huge. 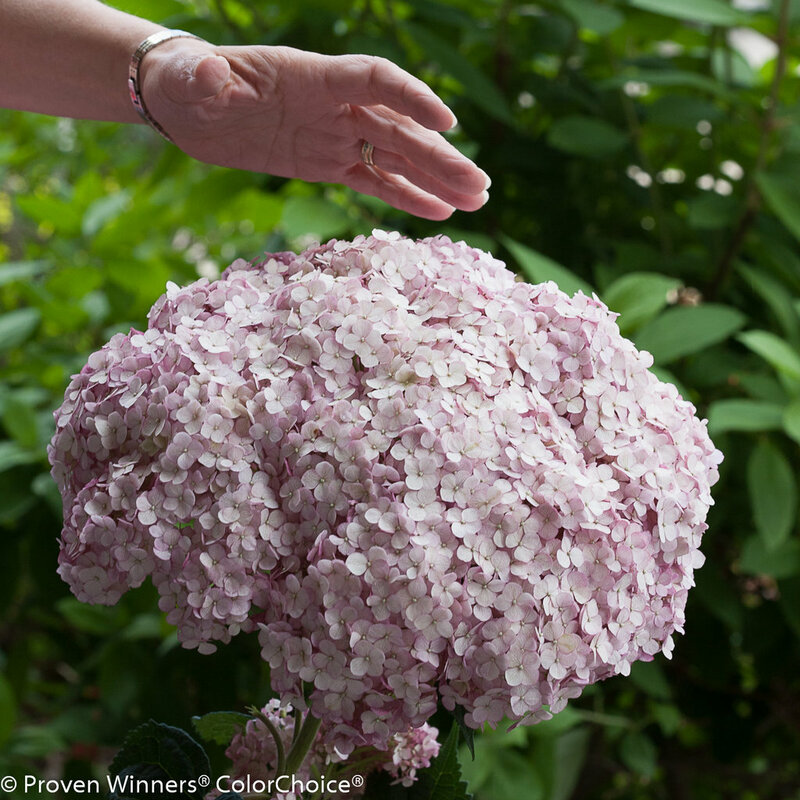 The size compares to my old hydrangeas I had had for a few years.